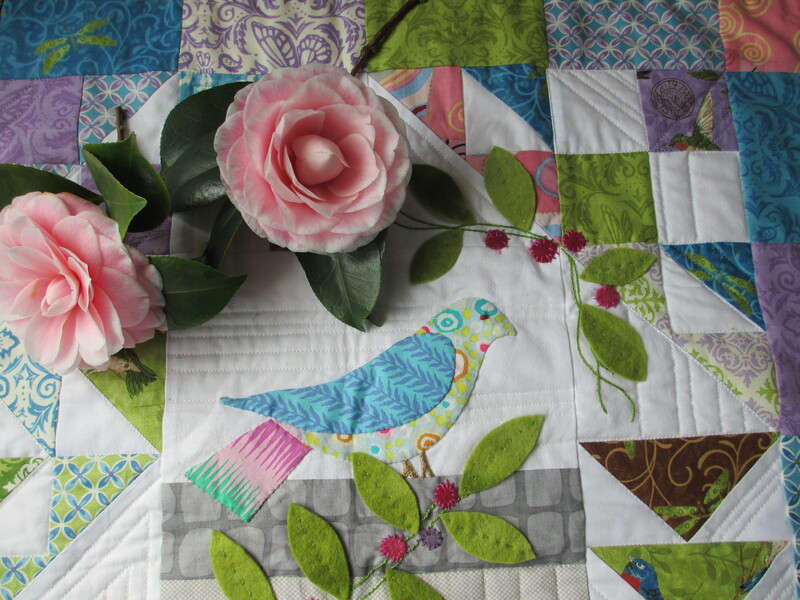 Pat Sloan has a passion for all things patchwork and Aurifil thread. 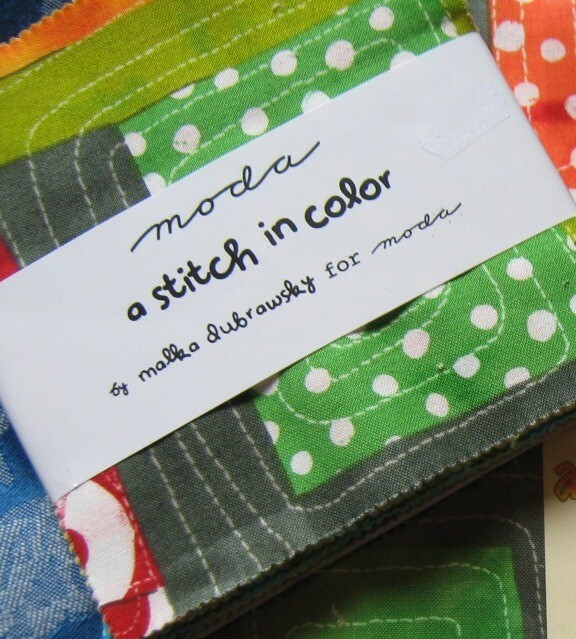 She has a radio show, patterns and books, her own line of fabric and her favourite Aurifil Thread boxed collection. 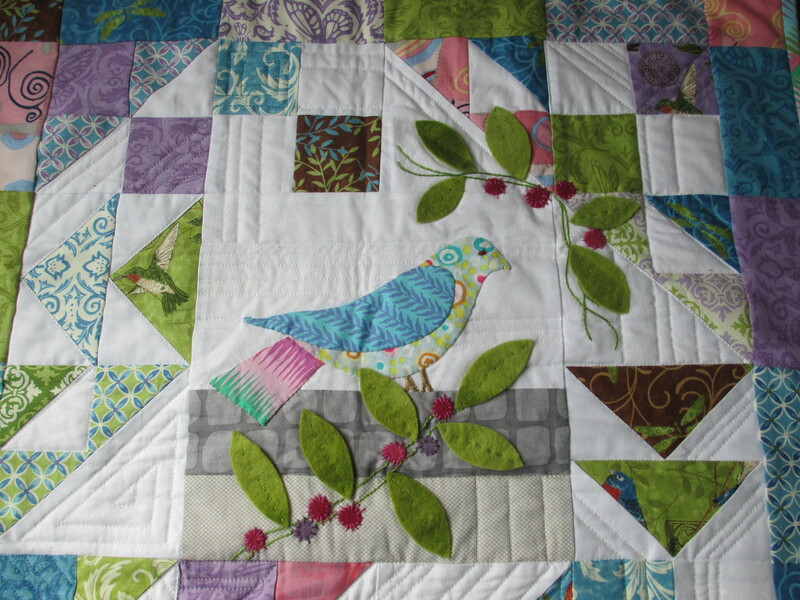 Her passion for quilty things is contagious! 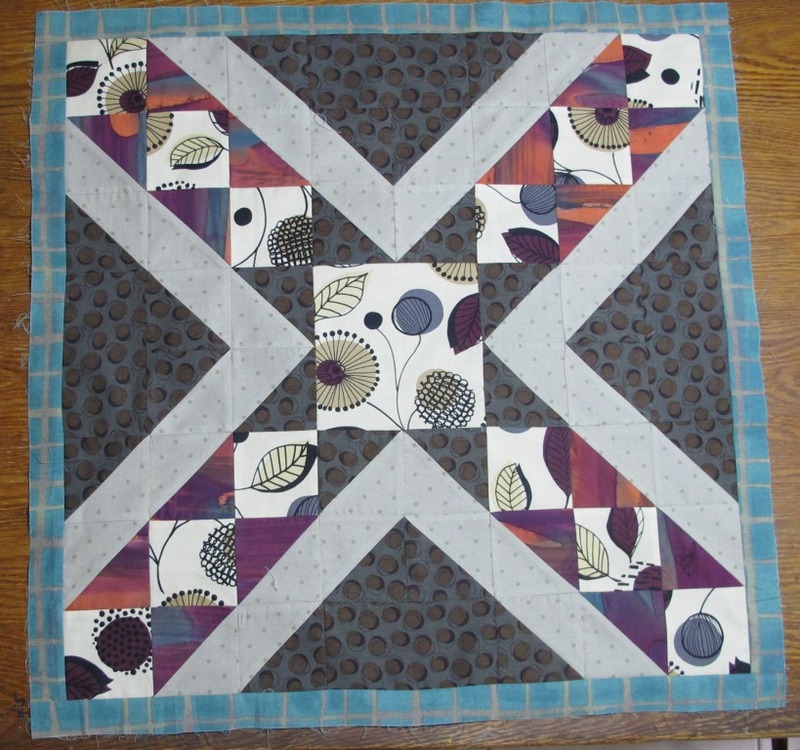 This year, Pat has offered her blog readers a Mystery BOM (block of the month). 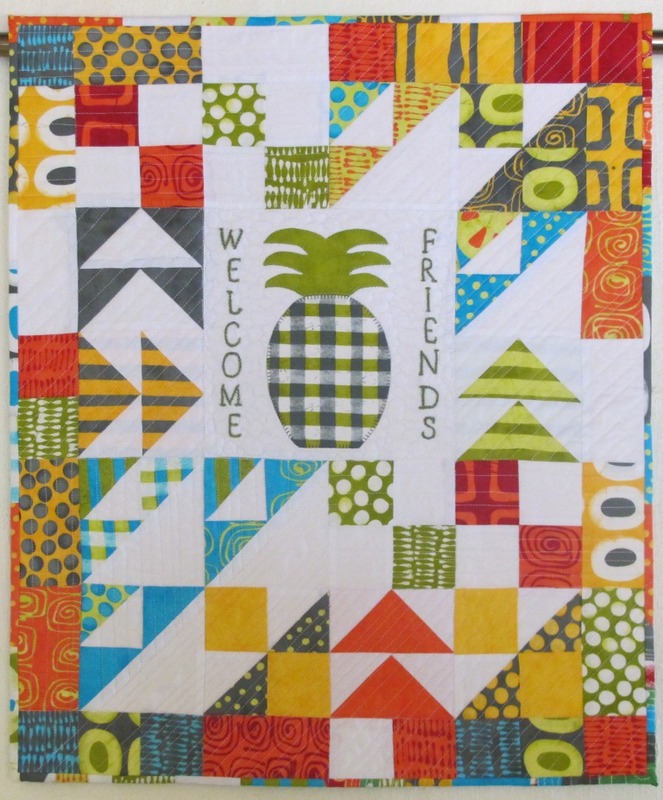 It is called, Globetrotting and she is making the quilt in 2 colour ways. The first block ‘visits’ Washington, DC and since I grew up in this part of the world, I HAD to join in the fun. 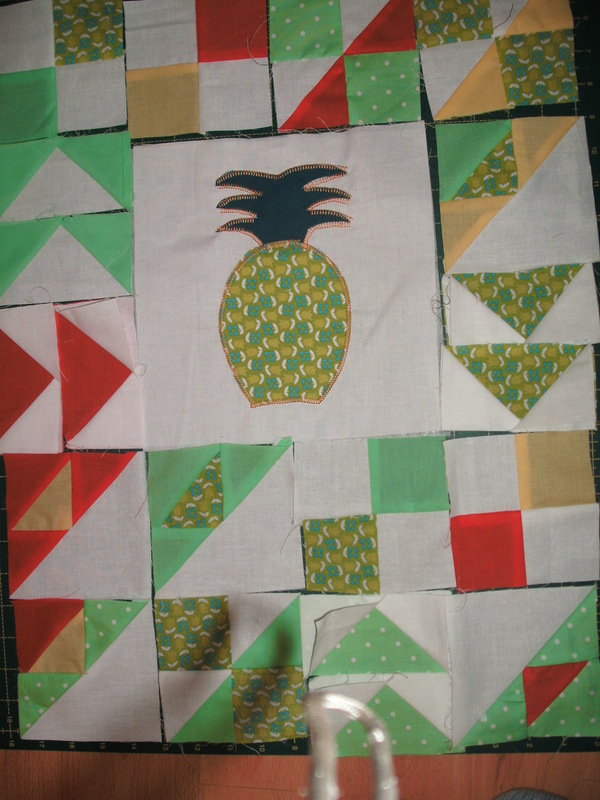 I want to use only fabric from my stash for this project. 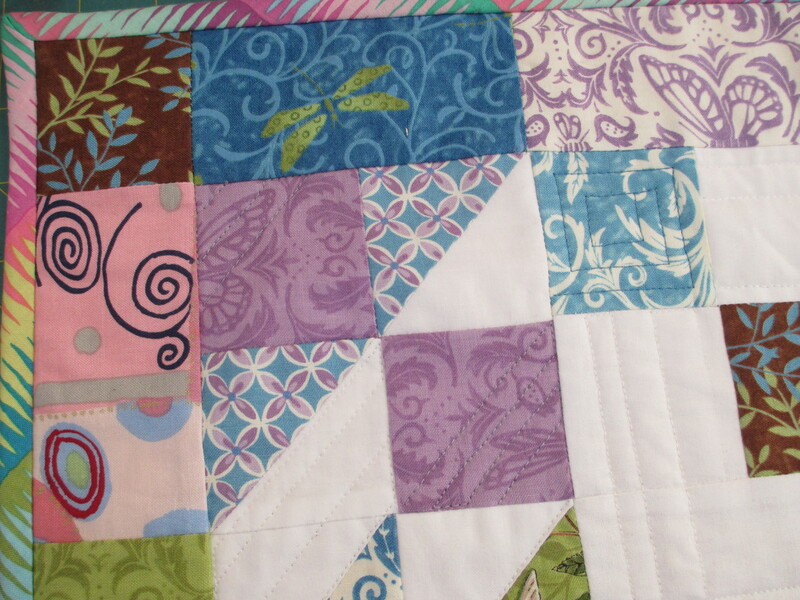 The colours I have chosen can be added to easily as the quilt progresses. 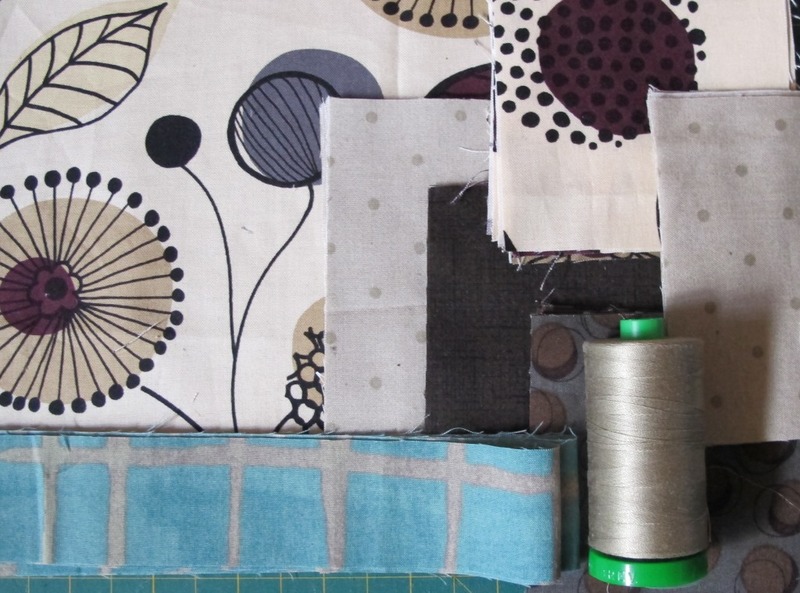 The neutral linen dot looks good with brown, aqua and purple. There is also a touch of grey and black in the centre print. The second city we have ‘visited’ is Venice in Italy. Like Pat Sloan, I have never visited Venice but it is on my bucket list. I look forward to my next destination during the first week of March. I have my passport (fabric stash) all ready. What ignites your passion for a new project? We would love to know. Here we are at the end of our Block of the Month Journey. 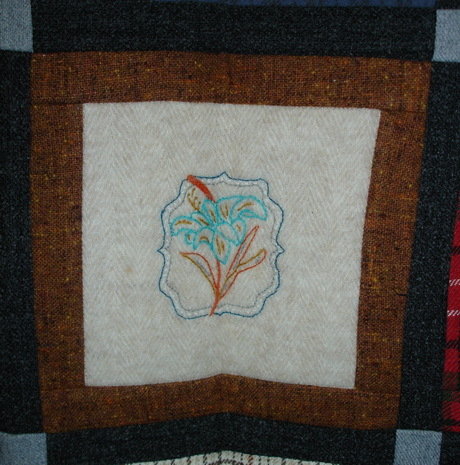 We chose our charm squares; cut and sewed; layered and quilted: and now it is time to complete the finishing touches and enjoy our creations. 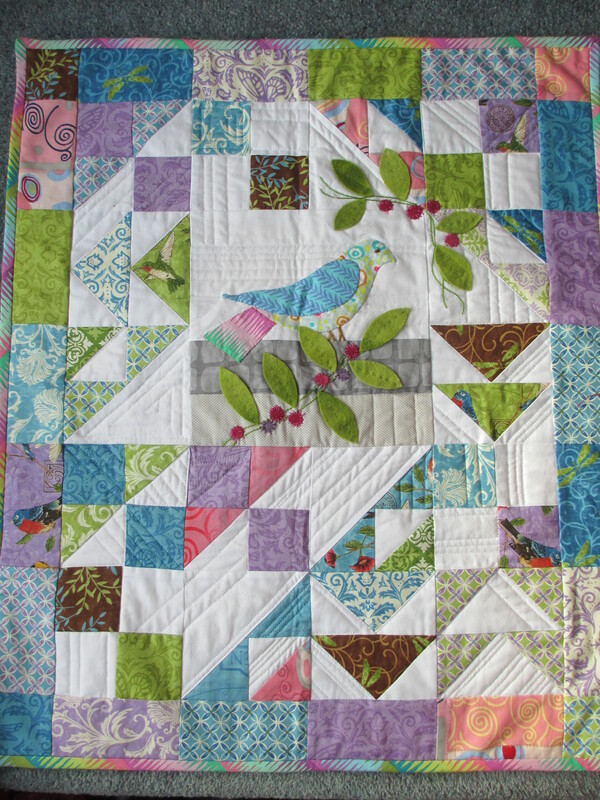 Last month, after our quilting was finished, we trimmed the excess backing even with the top. 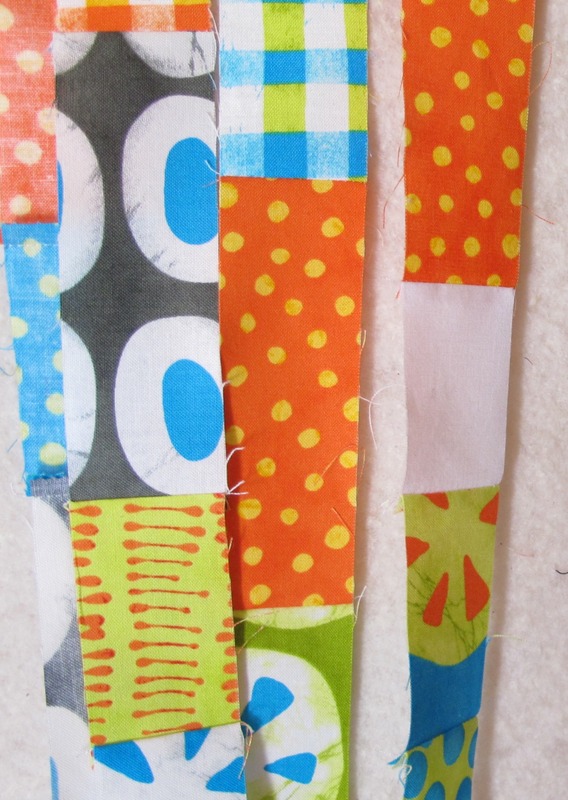 These pieces are carefully cut to 2 “widths and all 4 pieces (one from each side) are sewn together creating the binding. 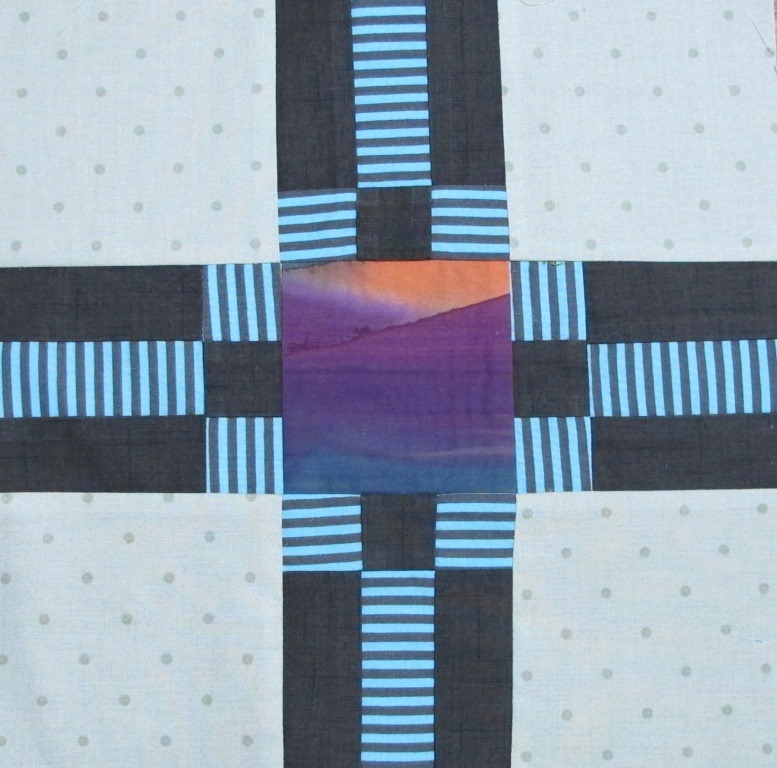 The 2” binding is pressed in half and applied in the normal way, creating a mitre at the corners. 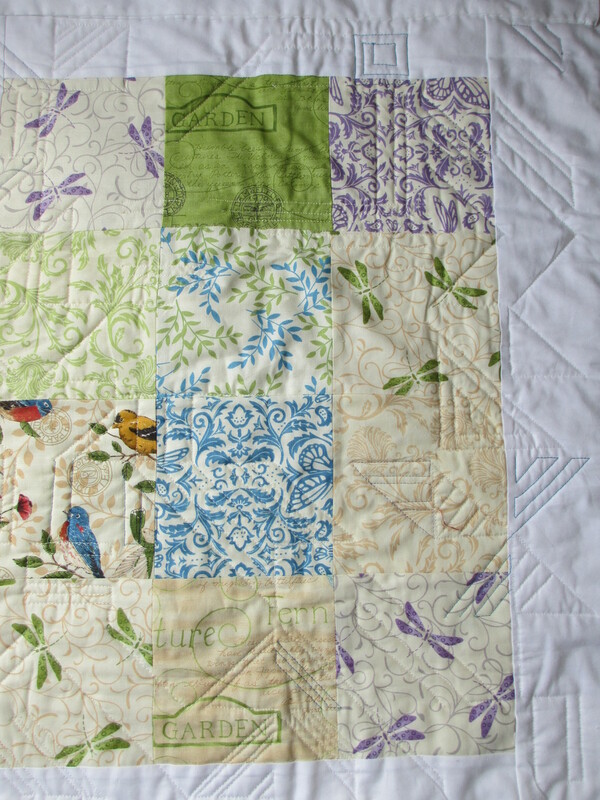 I stitch my binding down to the back of the piece by hand using Aurifil 40wt Cotton Mako. 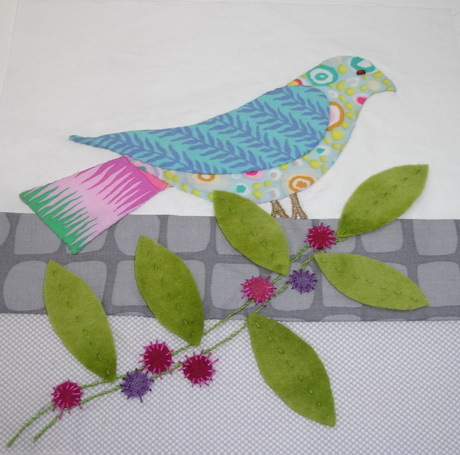 Jane Wickell has a great tutorial on making and applying bindings. 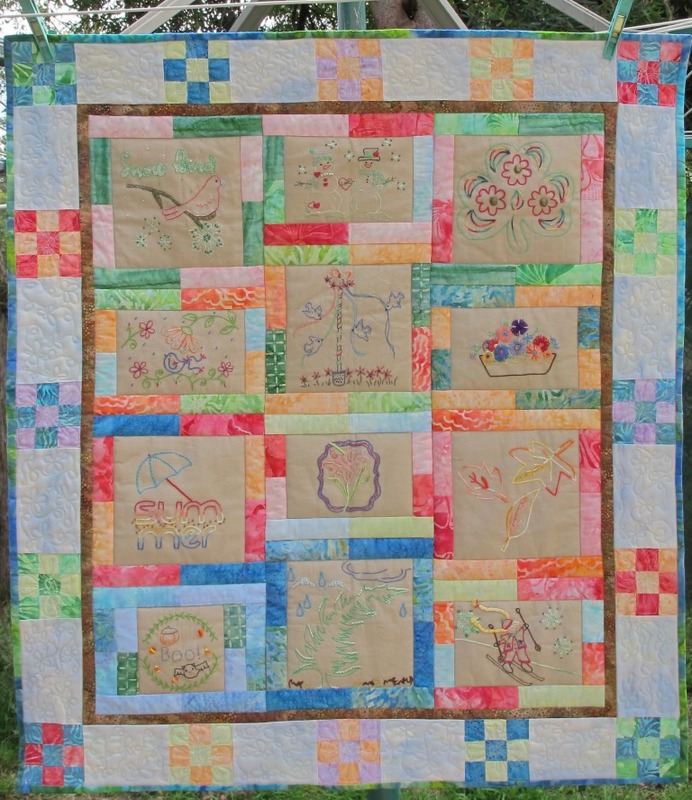 You will want to show off your new creation and a hanging sleeve can be made for easy display. 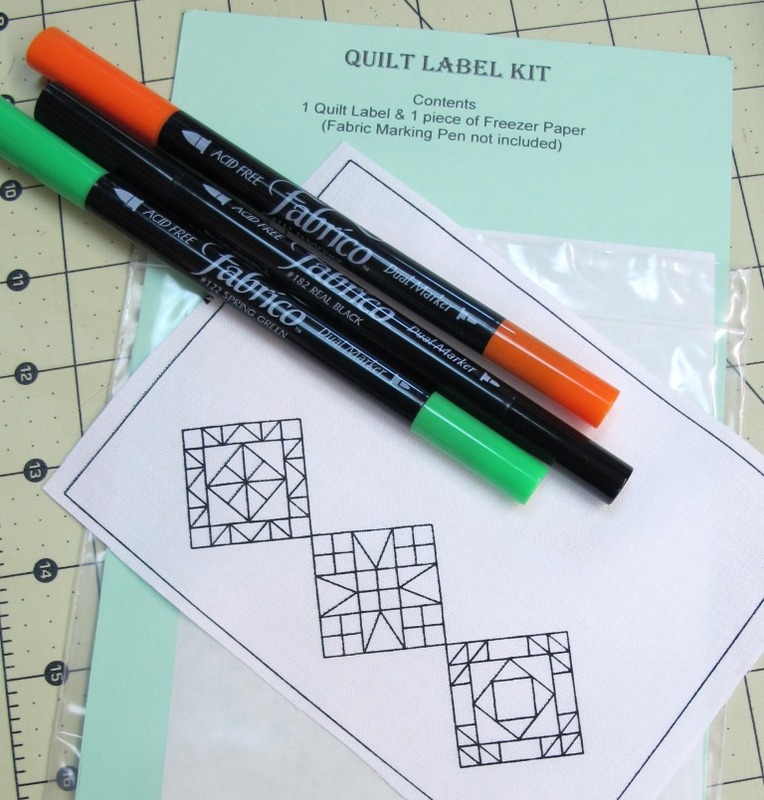 Have a look at Susan Brubakers Knap’s instructions and Nancy Zieman demonstrates how to make a rod pocket for a show quilt. 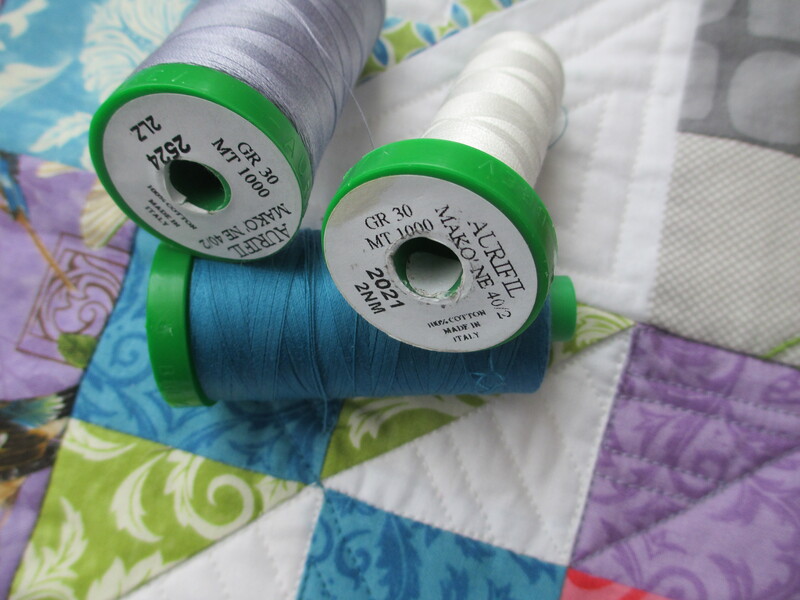 The label is the last and most important item on your quilt.I have decided to use a pre-printed label. 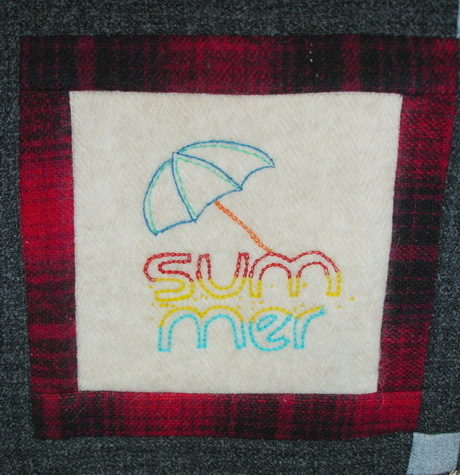 We have some lovely quilt hangers in the shop and our labels come in many designs. 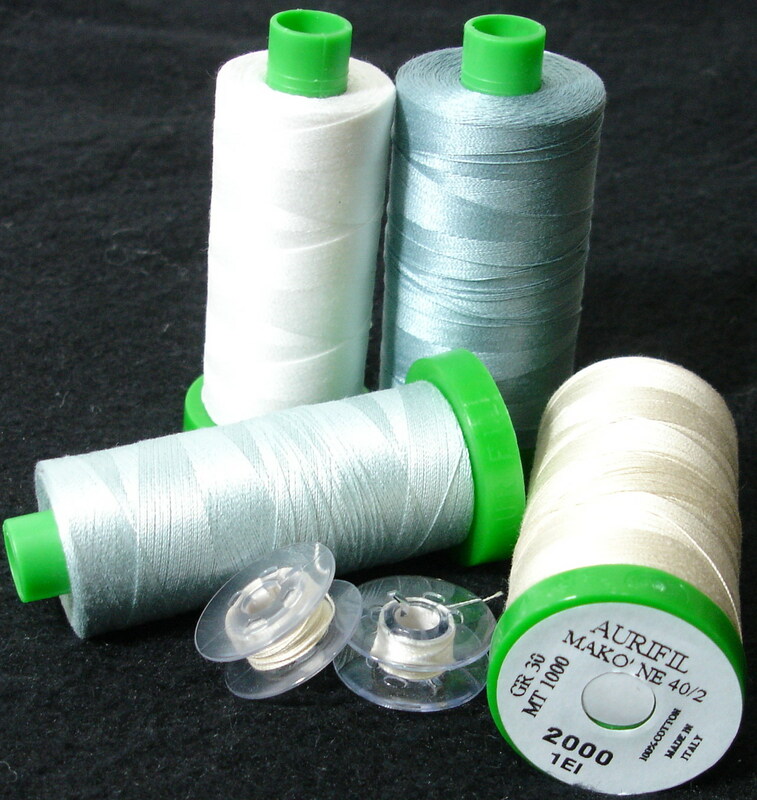 Each label has suggestions for the items to be included for future reference. I hope you have enjoyed making your Modern Welcome BOM. I received a great email from Eva last week. 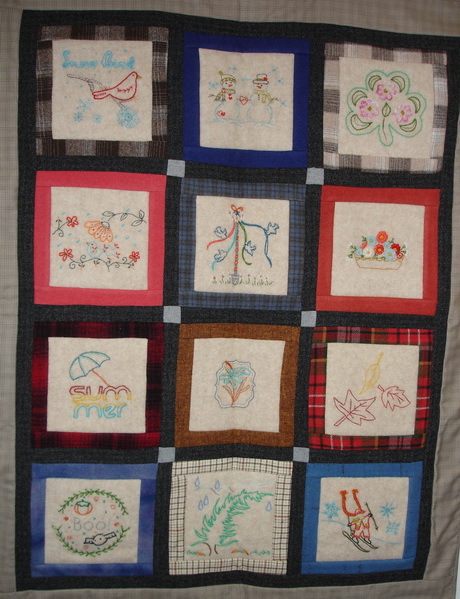 She said that she had been following the progress of our Quilt Welcome BOM for some time and had recently decided to join in the fun. As you can see she hasn’t wasted any time in catching up, and it will take her no time at all to finish piecing the top together be ready to add the embroidery this month. 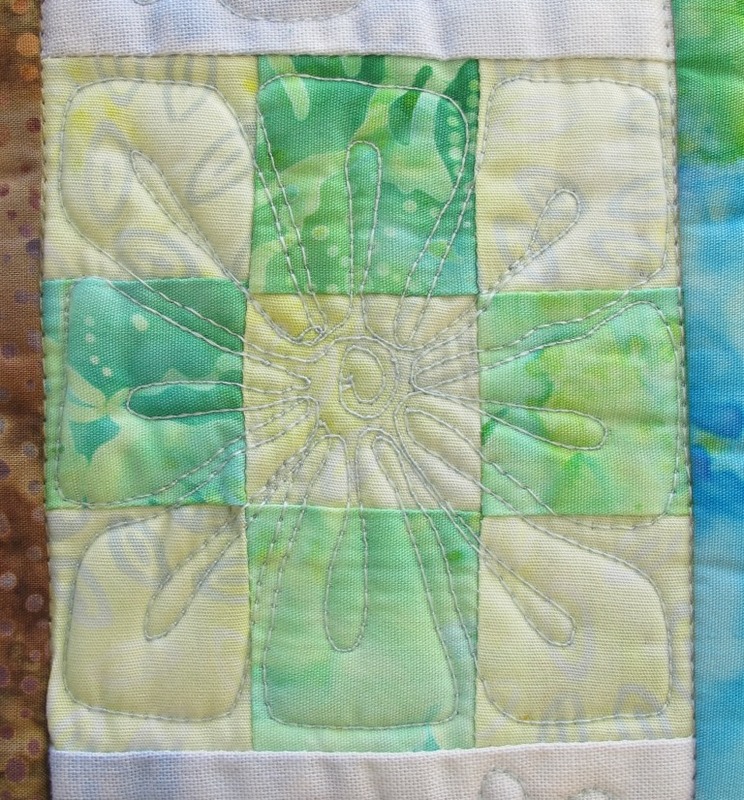 PS: Judysew4th will be posting the instructions for adding the embroidery to the centre block at the end of this week. 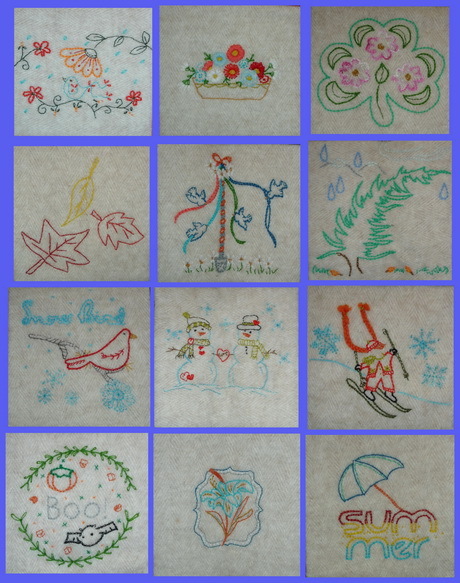 Months seven through ten will add embroidery, plan the quilting, add bindings, labels & hanging sleeves until you end up with a small wall hanging quilt (24″ x 20″ finished) in time for Christmas, and our next photo competition. 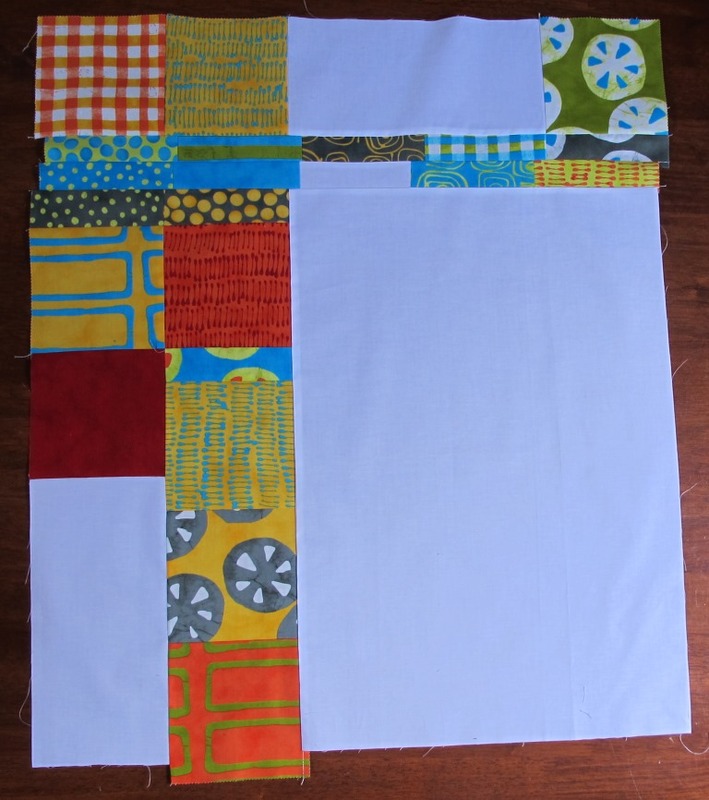 If you have been procrastinating, get out some fabrics and get started now.